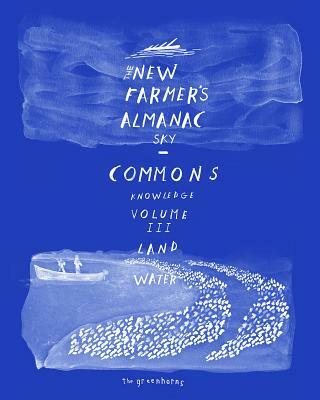 Volume III of The New Farmer's Almanac--360 pages of original agrarian content, essays, cartoons, imagery and historical snippets--harnesses the wisdom of over 120 contributors from our community of new farmers and ranchers. This volume explores the theme of The Commons, drawing from folklore, mathematical projections, empirical, emotional, and geographical observations of theory and praxis. Farmers hold space in many interwoven commons, and possibilities for our shared future would seem to rest on how these intersecting commons are governed--particularly at the juncture of humanity and ecology where we make our workplace. In re-visiting the Almanac format, we assert our version of Americana and equip ourselves for the challenges of rebuilding the food system and restoring a more democratic, more diverse, and more resilient foundation for society. We face a dystopian future, with guaranteed-unpredictable weather, the impending collapse of the fossil fuel economy, endlessly consolidating monopolies, and a country that is, for the first time in our history, majority urban. That's why this Almanac is a utopian publication, one that reminds today's farmers about the foundational concepts of an agrarian democracy--themselves utopian. But we also reject the self-propelling logic of techno-utopia--dependent upon extraction economies and enclosure of common resources. We orient ourselves instead toward the words of Ursula Le Guin, who reminds us that our intent in utopian thinking should not be "reactionary, nor even conservative, but simply subversive. It seems that the utopian imagination is trapped, like capitalism and industrialism and the human population, in a one-way future consisting only of growth."